That sounds so bossy, right? You can wear whatever watch you want. I just think you’ll like this watch for several reasons. I’ll tell you right from the outset, I was sent this wood watch to try out. JORD made it. We have been communicating about this watch for months now. Because I have lately been a ridiculous “blogger”, I am just now getting around to getting my act together. I put blogger in quotes because I have only blogged 11 times since January 2015. I’m trying to get back around to being a once-a-week blogger AT LEAST, because I really do like writing here. JORD was nice enough to give me several watch styles to choose from, despite my sorry blogging habits. Once I picked one, I then had to size my wrist with a measuring tape that you can print from their site. It wasn’t long after that when I received my watch in the mail. I must not have sized my wrist right, though, because the watch didn’t fit quite right. I will admit, however, that I didn’t open the watch all the way. I had never seen a watch that clasped the way this one did. When the watch repair guy put in one more link, he showed me how it opened in two directions. I think he thought he was going to be all clever when he opened it up from both ways to show me that it did, actually, fit my wrist. It didn’t, though, so I was happy that I went through the trouble to find the watch place. Because, if I hadn’t, I would’ve looked really air heady. Speaking of places to get a watch sized, just find a “watch repair shop” before you go all over every place like I did. To be more specific, I went into Kohl’s. They sell watches! You’d think they could put in an extra link into mine, even if I didn’t buy it from there. BUT NOPE. They could at least sell me a watch fixer-upper tool. BUT NOPE. I’ll tell you where you can put your Kohl’s cash, Mrs. Kohl’s Watch Area Employee. This watch, though, this watch. Okay, I will be honest with you. I wasn’t sure I’d LOVE the wood watch. I thought that it was going to be cute enough, but maybe not my favorite watch. I have a lot of watches. I’m sort of an avid watch collector. Once a watch’s battery breaks, I need a new watch. That’s ridiculous, I know. I just hardly ever, ever change a battery in a watch. I think I’ll change the battery in this wood watch when the time comes. For one thing, I’ve found a watch repair place, remember? So, why should you wear it? #1 It gets noticed. I’m sure you don’t care about that sort of thing. I don’t wake up wondering if people will comment about my watch, either. It’s just that…they do. With this wood watch, they do. I hardly ever get comments about my watch so frequently and so often as I do when I am wearing this watch. People are fascinated by it and have called it “stylish”, “modern”, “cute” and lots of other great adjectives. 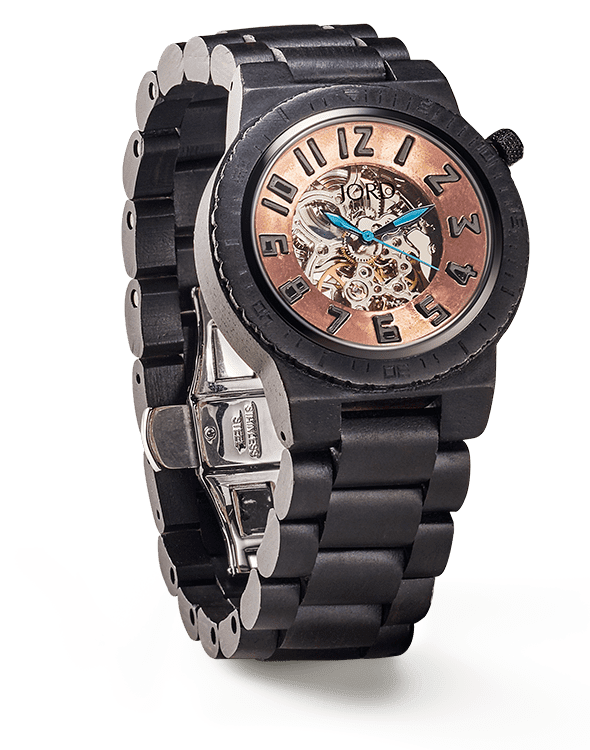 This is the watch that I picked out below from the Fieldcrest series. It is more plain than the other choices I had, but I liked that about it. It seems to blend in with everything. It is simple and feels dressy when I’m dressed up and casual when I’m casual. It is a Maple watch but does not go well on pancakes. #2 It is different. 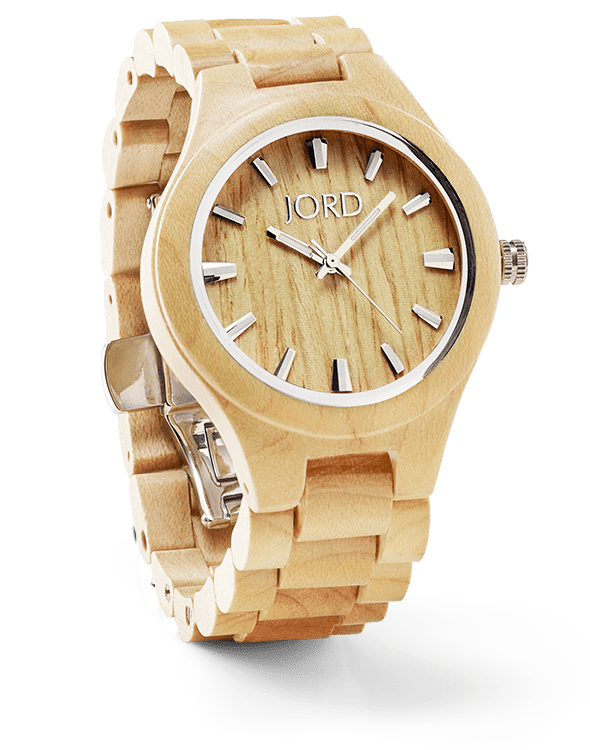 You don’t already have a wood watch, right? It’s kind of fun to wear something that is a little out of the ordinary. Several times people have said something like, “At first, I thought it was wood”. I usually give them about 10 seconds of silence before I belt out, “THAT’S BECAUSE IT IS WOOD! HAHAHA! !” The earlier it is, the louder I yell. This lovely, pretty, awesome one below (for $199) is wood and rose gold, so ‘fess up on that one if you wear it and get asked. No one likes a liar. #3 It is lightweight. I know most watches out there aren’t pinning people down to the ground by their excessive weight. I realize people aren’t bulking up because of their watches. “Is he on steroids or is his watch just, like, really heavy?” This watch is light, though, which makes me type faster. Pretty sure. #4 It is reasonably priced. 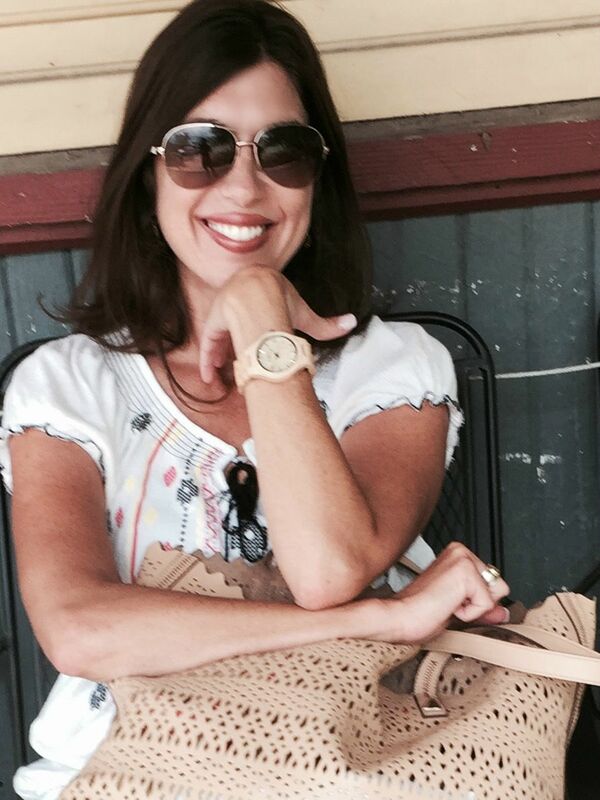 The watch I am wearing is $120. They do have even more expensive ones, of course. I really, really, really love this ebony and copper watch for $295. The rose gold one up there is $199. I still think that is reasonable for something so unique. #5 It is made my artists and also, the whole sustainable thing. Artists! Fancy! 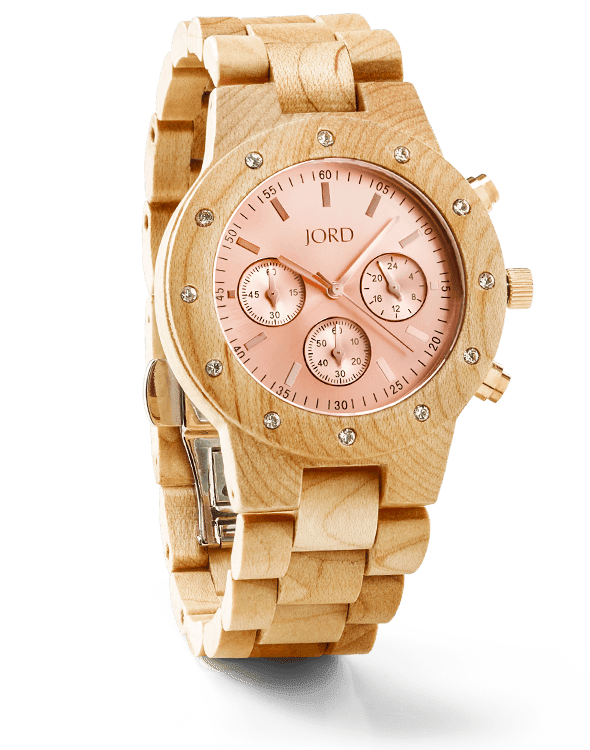 “JORD was derived from a desire for timepieces that model our modern lifestyle. Sustainable, efficient, simple, and influenced by experiential living. JORD owners don’t just have somewhere to be, they have somewhere to go.” Ooooo. I like that. Now read this one: “JORD is run by artists, designers, marketers, and minders. We spend our days creating, considering, arguing, and hopefully agreeing. Then we’ll scrap it all for the joy of starting new. We have fun. This is our journey.” I like it! Even if you don’t want one, are you thinking you’d like to give one? I am. The next person that wants a watch is getting one of these. Take note, family. I hope you will stay tuned because I am going to be partnering with JORD later this week to give away significant discounts to these watches. The fun part about that is that there will be more than one winner. Three to be exact. JORD is giving away a $75, $50 and $25 coupon. I am liking that a lot. That means, if you wanted my watch, you’d only have to pay $45 if you won the $75 amount. I think that’s a deal. If you want to check out their many, many styles, go this way. Please either comment in the Facebook comments below or go to the Facebook post below to let me know what you think. Commenters on this post will be the first alerted regarding the giveaway, which will happen very soon! Let me know what you think!